Violins are made in a variety of sizes. 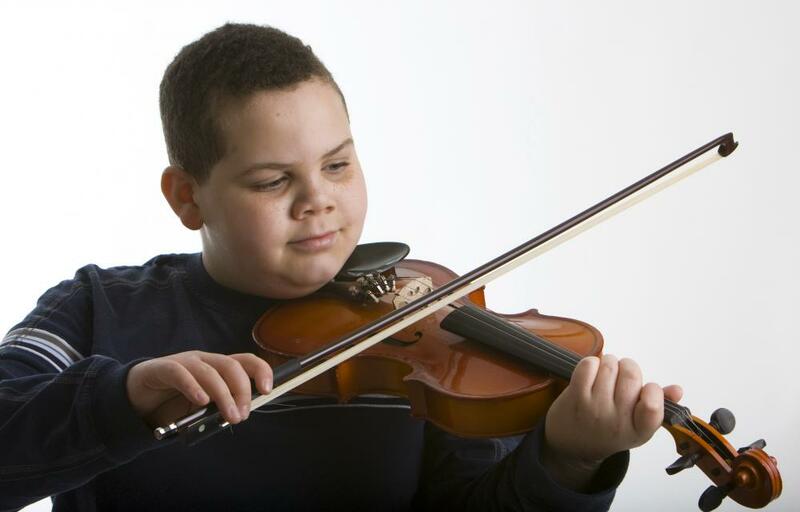 The full-sized violin commonly used by adults is called a 4/4, and most smaller sizes are designed for children. Violins are made in at least 10 sizes, although about seven of them are the most common. The different violin sizes are indicated using fractions, and although a larger fraction corresponds with a bigger violin, the fractions do not indicate the instrument's size in relation to a full-size violin. A full-size violin that is generally used by adults is referred to as a 4/4, and most smaller violin sizes are for children or adolescents. The common violin sizes also include 3/4, 1/2, 1/4, 1/8, 1/10 and 1/16. A 7/8 violin, also called a ladies' violin, is made for smaller adults, and 1/32 and 1/64 violins are made for musicians as young as 3 years old. Picking the correct size of a violin requires the measurement of the musician’s arm — the left arm for one who holds the bow in his or her left hand, or vice versa — to be taken. This ensures that the musician will be able to reach the strings and hold the violin in place while playing the instrument. Especially when measuring a child for a violin, taking incorrect measurements can result in the child being unable to learn the correct techniques of playing a violin. 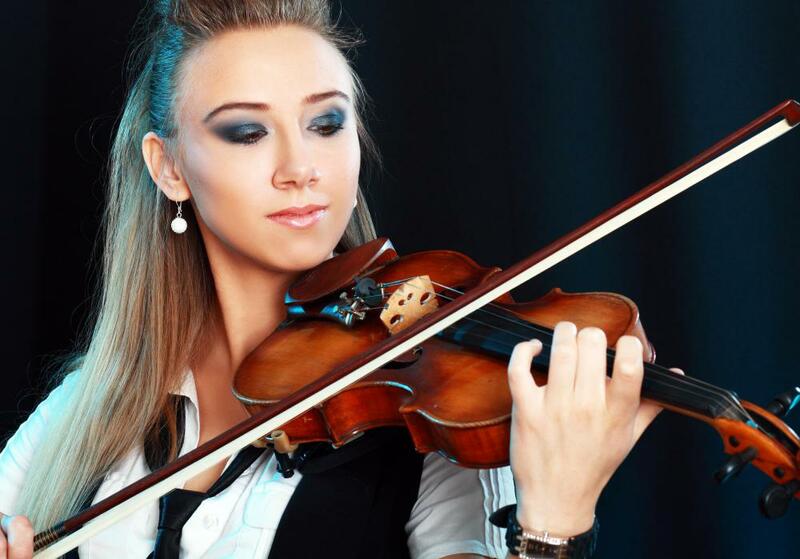 The musician should extend the arm that will be holding the violin as straight as possible, and the distance from the bottom of the musician’s neck to the center of his or her palm should be measured. After a musician’s arm measurement has been taken, it can be used to determine the best size of violin for him or her. Different sources use slightly different ranges of arm lengths to determine ideal violin sizes, so a musician might try one size smaller and one size larger than what is recommended, then choose the one that feels the best. For an arm length of about 23 inches (58.4 cm) or more, a full-size violin should be chosen. A 3/4 violin would be suitable for a person with an arm length of about 22-23 inches (55.9-58.4 cm), and a 1/2 violin is ideal for a musician with an arm length of about 20-22 inches (50.8-55.9 cm). 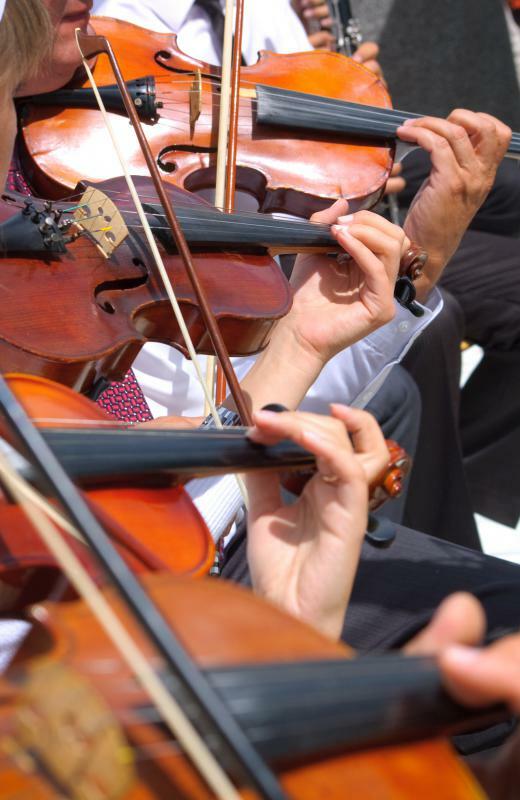 A 1/4 violin should be chosen for a person with an arm length of about 17-20 inches (43.2-50.8 cm), and a smaller size should be chosen for a musician with shorter arms. The employees at many music stores that sell violins are able to help customers choose the best violin sizes for musicians of any age. What Makes Stradivarius Violins Special? What Does a Violin Tutor Do? What Is a Baroque Violin? How Do I Choose the Best Violin Bows?